Willowbridge Marina is a minor waterways place minor waterways place place on the waterways major waterways place village town city on the Grand Union Canal (Grand Junction Canal - Main Line - Gayton to Brentford) between Willowbridge Bridge No 99 (1 furlong to the northwest) and Marsworth Junction (Junction of Grand Union Aylesbury Arm with Main Line) (14 miles and 3¼ furlongs and 16 locks to the south). The nearest place in the direction of Willowbridge Bridge No 99 is Willowbridge New Bridge No 99A; ¾ furlongs away. The nearest place in the direction of Marsworth Junction is Orchard Mill Bridge No 102 (Great Brickhill 1 mile east); 3½ furlongs away. Facilities: diesel for sale, gas for sale, boater-operated pump-out and water point. Basic, but very helpful site staff and reasonable chandlers. Lower Rectory Farm, Great Brickhill, Milton Keynes, MK17 9AF — 1485 yards to the southeast. Milton Keynes — 1632 yards to the northwest. Milton Keynes — 1598 yards to the north. 7 Islay Court, Milton Keynes, MK3 5QW — 1329 yards to the west. 112 serpentine court, Milton Keynes, MK2 3 — 1094 yards to the northwest. 16 Tiffany Close, Milton Keynes, MK2 3NA — 1597 yards to the northwest. IncTablet Electronics L21 Bletchley Business Campus, 1-9 BartonRd, Milton Keynes, MK2 3HU — 1613 yards to the northwest. Islay Court, Jersey Drive, Newton Leys, Milton Keynes, MK3 5QW — 1531 yards to the southwest. Milton Keynes — 26 yards to the west. Milton Keynes — 1531 yards to the southwest. Unit R2C, MKTWO Business Centre, 1-9 Barton Road, Bletchley, MK2 3HU — 1613 yards to the northwest. 39 barton road, Milton Keynes, MK2 3HW — 1632 yards to the northwest. Milton Keynes — 1612 yards to the southwest. 29 Mill Road, Bletchley, Milton Keynes, MK2 2LB — 1603 yards to the north. Milton Keynes — 1534 yards to the west. Bletchley Business Campus,Unit L46, 1-9 Barton Road, Milton Keynes, MK2 3HU — 1599 yards to the northwest. 29 Skye Crescent, Milton Keynes, MK35AY — 1537 yards to the west. Bletchley Business campus, 1-9 Barton road,, Milton Keynes, MK2 3HU — 1613 yards to the northwest. 38 St Helena Avenue, Milton Keynes, MK3 5FL — 1418 yards to the west. 30 Tiffany Close, Bletchley, Milton Keynes, MK2 3NA — 1634 yards to the northwest. Brora Close, Milton Keynes, MK2 3 — 1377 yards to the northwest. 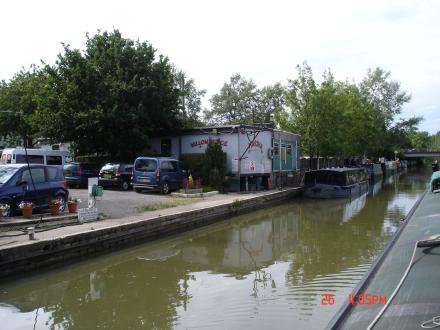 Willowbridge Marina, Stoke Rd Unit 1a, Milton Keynes, MK2 3JZ — 92 yards to the northwest. SKS Cars Ltd Unit L13B Bletchley Business Campus 1-9 Barton Road, Bletchley, MK2 3HU — 1613 yards to the northwest. Bletchley Business Campus, Unit L16 – Office,, 1-9 Barton Road, Bletchley,, Milton Keynes, MK2 3HU — 1613 yards to the northwest. 1-9 Barton Rd, Bletchley, Milton Keynes, MK2 3HU — 1613 yards to the northwest. 42 mill road bletchley, Milton Keynes, MK22LD — 1490 yards to the north. Milton Keynes — 1418 yards to the west. Galley Lane, Milton Keynes, MK17 9AA — 1097 yards to the northeast. Sycamore House, Drayton Road, Milton Keynes — 1558 yards to the northwest. Milton Keynes — 1613 yards to the northwest. Milton Keynes — 1607 yards to the northwest. 1 Barton Road, Milton Keynes, MK2 3HU — 1556 yards to the northwest. Furzey Way, MK3 5SP — 1414 yards to the west. 1259 yards to the north.